Johngy's Beat has many special requests, when it comes to custom cards. I love the challenges, but many challenges were waiting for me with this request. 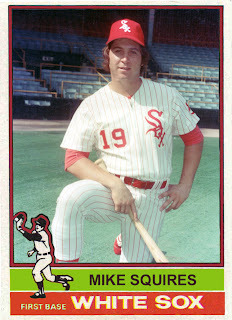 One: I could not find any Mike Squires pictures in the red and white uniform. Johngy eventually solved that by sending me a high resolution picture. The only downside was that I'd have to wait. It was sent literally hours after my hard drive crashed. Two: Lack of access to my programs and files. Again, with the hard drive crashed, it was impossible to get anything regarding custom cards done. Three: I never noticed before, but there is no first baseman standalone card for the White Sox in the 1976 Topps set. Go ahead and look. You won't find one. Which is why I had to make my own. Digitally underneath lies "Pops". Carlos May was the regular first baseman in 1975, but he was listed as an outfielder in the 1976 Topps set. Mike made his MLB debut on September 1, 1975. He appeared in 20 games, all at first base. Apparently, this wasn't enough to warrant a card in the 1976 set. This has now been corrected. Enjoy! Don't let the title fool you. I've been working on this list since before Christmas. Between the holiday madness and ice slipping (which is really fun and unexpected, until the pain sets in the next day) and chipping a tooth on cheesecake tonight (don't ask), I've had to put off completion of this massive list. Wait no longer! The list is complete and I am proud and happy to present the cards sent over by GCRL. This was so fun to go through right before the holiday! I intended on finishing the list on Christmas day, but one thing after another happened and... well, it was delayed a bit. Brace yourselves. It's a long list! See. I told you that was long. Thank you so much! This package was a blast to go through. It brought up so many different memories, it was like hundreds of presents in one! Even though I'm rapidly approaching my mid thirties (at what point do you go from early to mid? ), my parents still try to make me feel like a kid at Christmas. I found all these packs in my homemade stocking that my late grandmother made for me. Since 1999, it's been a tradition to have Mr. Hankey sticking out the top of the stocking until it gets put away. Some may call it a mockery of the season, but I call it having fun. Along with more practical things (Cool Water and a Sox scarf), I received the requisite ornament (I can probably fill three trees with all that I've gotten in the past 33 years), clothing, and a few DVDs (Up, District 9, 30 Rock Season 1, and the Peanuts 70s Collection Vol. 1). After a meal of lasagna and polish sausage, my friend and I headed off to flip the meager holiday pickings on television. Then my friend got the bright idea to invite one of his friends over and we all played Trivial Pursuit Pop Culture until the wee hours of the morning. It had to be the most bizarre Christmas that I've spent since I was working alone cleaning a store on December 25th. I didn't concern myself with what any sports team was doing. I didn't check my mail or the other blogs in every spare moment. I checked, but even that was nonchalant. It was a day spent with family and friends and the only thing that could top it would be if Tracey was able to make it. Instead, she spent a nice quiet holiday catching up with her sister from Georgia and her mom. I hope everyone's holiday was full of joy and was as stress free as possible. A Christmas gift from Jack aka Baseball Dad of All Tribe Baseball. Thank you so much! This really brightened my holiday! Technically, this package came during my forced technological exile, but it was still in December, so I'm counting it towards Christmas. Take that logic spewing pig dogs! Marie, of A Cardboard Problem, was kind enough to clear off her desk (or something similar), and send over some White Sox cards for me. Yay! Accompanying with the spectacular package was a note saying basically that I will enjoy these more than she will. I could say that would be true, unless Marie has changed the city of her black and white pinstriped uniform fascination. I highly doubt that. It's what makes this community so cool. The fact that everyone has their own little niche, even when it seems that they overlap sometimes. Let's see what Marie sent over! Thanks, Marie! These were great! It was eating away at me that I couldn't get to the computer and shout this out to the world. Now that the computer is running and my programs are slowly being installed back in, I can give this package the respect that it deserves. The hustle and bustle of the holidays are upon us. Add the already hectic holiday time to a crashed hard drive and you've got the makings of a Christmas disaster. Beyond all miracles, Christmas has been salvaged big time by a group break from I Am Joe Collector. Not one, but two Joe Jackson bat cards were pulled from the boxes. One for each grouping. Not too shabby! When I learned about the first Joe Jackson bat card available, it instantly went on my want list. That 2001 SP Legendary Cuts card is still on the list, only now it's not as high a priority. This officially becomes my coolest card. My best pull. The only thing that could possibly top this would be a relic from the 19th century with a White Sox connection. Come to think of it, that might not even top this. I have tasted the forbidden fruit of Joe Jackson and I like it! 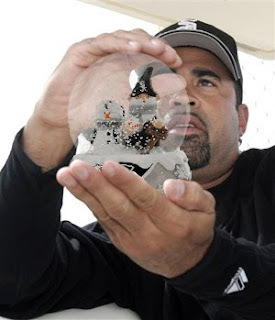 Regardless of Jackson's involvement in the misdeeds of others, this is a bat relic of an elite player who was cut down in his prime. Not by illness or death, but by banishment. It has a gritty allure to it all. This feels like something that should not be. By all means, it shouldn't be here at all. I have strong reservations about butchering historical artifacts for the greed of today's collecting market. The players of nearly a century ago did not have the same mindset about the collecting market that today's players have. There was no collecting market back then. All that was around were a bunch of kids and a few eccentric adults with time on their hands. That's part of what makes this card so unique and special. I'm still pinching myself to make sure it isn't a dream. It's a reality and my smile is still ear to ear. I need your addresses. Please e-mail them to me. Even if you never intend to trade with me again, I'd like to have those addresses replaced. Plus who knows, I've been known to send stuff at random. I once had quite a list, but that went with my crashed hard drive. 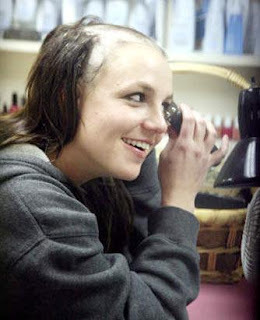 I can understand someone who gets frustrated enough to shave off hair. I've been going through that for the past few days. It's a good thing that the time of wearing my hair past the middle of my back are long gone or I might think drastic thoughts. After switching out a power supply on a computer I have been building over the past year, I find out that the graphics card is missing a cord and the burner is DOA. Everything else worked, but there was no workaround for the graphics card and without the cord in place, it will not boot up. Instead of sinking more money into the pit, I decided to scrap it and sell off the parts. This was made easier by my computer expert having a working, fairly new computer that he was doing nothing with. He gave me an unbelievable deal on it, so I swiped it up. It's not my ideal computer, but it is better than the previous one. On the old computer, I was able to switch out the hard drives that crashed, but could not extract any information off of them. So, I have a running temporary computer, until the other one arrives in the morning light. Up until this afternoon, I could live by the old adage, "If it wasn't for bad luck, I'd have no luck at all". Thankfully, my luck seems to be improving. Slowly, things are getting back to normal here. Please help me get back to normalcy a bit quicker by sending those addresses. My sanity thanks you. Oh yeah, I almost forgot. Welcome, Juan Pierre! You'll love it here! Sorry for my recent absence. I'm afraid it will be longer. The current epidemic of crashing hard drives hit me Wednesday night. I should be up and running again by the end of the month. Congrats to J.J. Putz for signing with the White Sox. You'll love it here and you'll be able to continue your bromance with Matt Thornton. As a result of the crashed hard drive, all regular features will be put on hold, as if you haven't already noticed. If I didn't need all the information that was on the hard drives, I'd already be back up and running. Yes, I do back up, but I can't back everything up. The sudden loss of the hard drives made backing everything up an impossibility. For those of you who e-mailed with your concern, thank you. If I can't get back before December 25th, please have a happy holiday. I'm hoping my computer guy can squeeze me in before then. 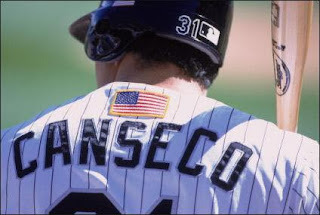 In 2009, Scott and the White Sox formed a symbiotic relationship. Pods needed a place to play and prove himself and the ChiSox needed a contact leadoff man with some speed and an outfielder. The partnership proved invaluable. 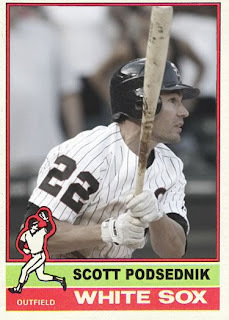 Things started to immediately improve for the White Sox and Podsednik seemed to enjoy a return to his 2005 form. While the Sox didn't make the playoffs in 2009, Scotty Pods proved his worth by keeping them in the race until September. One can only speculate if Podsdenik is on the club in 2010. His accomplishments in a White Sox uniform speak volumes to the type of player he can be when healthy. Wilson was supposed to turn it all around in Chicago. That never really happened. What the White Sox did get was five errors in thirteen appearances in the field. It wasn't exactly gold glove material. Betemit is a complex player. On paper, he looks like he will do well and break out of whatever funk he is in. In reality, Wilson is a streaky player who thrived in the National League and did well enough in the American League when the teams were unfamiliar with him. The White Sox have nothing to worry about in 2010, except revenge. Betemit was picked up the the Kansas City Royals and could possibly be in the lineup when the White Sox face KC next year. Brent has an incredible upside. Youth and speed are among his many tolls. Experience will eventually tell the tale on Lillibridge. If he is peaking in his career right now, he will be an adequate utility infielder and backup outfielder, but Brent may just be finding out what his ultimate role in the majors will be. 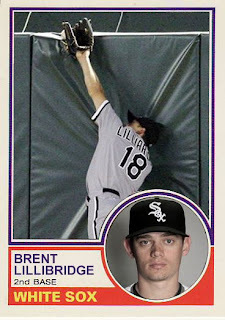 Lillibridge may just be perfect for the two spot in the lineup. He can produce enough contact and have enough speed to be a threat. 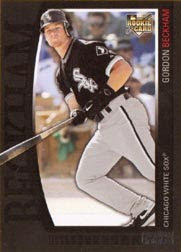 He was one of Atlanta's best organizational prospects before a trade landed him with the ChiSox. 2010 looks to be the litmus test for Brent. If he can improve offensively, look for him to explode on the scene, wherever the Sox can find room for him. A tiny Don Slaught of packages have made their way into my house in the past week or so. Don Slaught is my term for onslaught, ever since I was a kid. Now you know, and knowing is roughly equivalent to but not more than half the battle. In today's mail was an eBay non-baseball card package. If your prying eyes must know, it was the horror/comedy film "Student Bodies" on DVD. I know I can watch it anytime on YouTube for free, but I like owning a copy of movies. That will be my viewing agenda for tonight. My card agenda for tonight has been taken care of by the Night Owl. There were a small amount of cards from my want list and a few off the beaten path. With packages like this coming in the mail, how could I not enjoy the monthly festivities? I am forced to enjoy them to the fullest. This is why I'll be shopping for the ingredients this week to make cookies. Sugar cookies with festive sprinkles, snickerdoodles and Kahlua cookies. Yum! Enough about my daily habits and multi-holiday preparations. Bring on the cards! Thanks, Greg! The mini Fisk and my first non-custom card of Daniel Hudson are definite highlights. Small card packages certainly pack a mighty wallop! 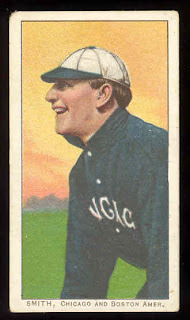 Dixie (born Gorham Vance Leverett) started his rookie season in 1922 on a hot streak. He compiled a 13-10 record with a respectable 3.34 ERA. Each year after was slightly worse. In 1925, Leverett reported to camp ten pounds overweight. He was quickly sent down to the minors and stayed there the rest of the season. 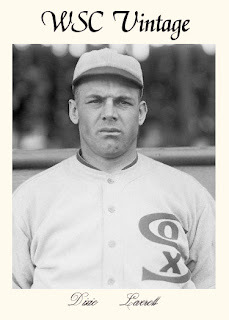 Dixie eventually shed the weight and was back with the White Sox in 1926. By that time, he was a shell of his former self. He only appeared in six games in 1926 and his ERA ballooned to 6.00 for the year. Dixie pitched well enough with the minor league Indianapolis Indians, in 1927 and 1928, to get picked up by the Boston Braves in 1929. 1929 was not kind to Dixie and the Braves dropped him after the season. By the end of the 1931 season, there are no further records of Leverett playing professionally. A few weeks ago, a box of Lipton Tea arrived in the mail. Twenty four family sized Iced Tea Brew bags. Being the iced tea connoisseur that I am, I excitedly opened the box. In my horror, I discovered that there wasn't any tea bags to be found. To my delight, there were baseball cards inside instead. These weren't just any baseball cards. These were White Sox and White Sox player related baseball cards! All the way from the other side of 355. Chris from On Card Autos sent over a mother lode of Sox related cards. I decided the best way to tackle the enormous amount of cards was to whittle it down to the cards I needed. The rest will go straight into my White Sox redistribution program. The anointed cards from my want list and a few select upgrades will be reported here. This past weekend, I decided to get off my duff and sort the cards. I originally went through the cards when they first arrived, but put off sorting because of a wake, a funeral and a holiday. Now that everything is back on track, let's go through the stack of needs. Thank you, Chris! This was a real treat to go through. I'm still working on your return package, but it will get there soon. Before it gets too late, make sure you wish Chris a happy birthday today! Today, while I was getting the mail, a small white envelope almost slipped by me. Fortunately, I recognized it in time to be addressed to me. If not, it might end up in another pile of mail and i might not see it for a week. Matthew of the excellent blog, The #5 Baseball Card Type Collection, sent over a few goodies unbeknownst to me. Found these while cleaning - must be for you! An astute observation indeed. Out of the envelope came five cards. One had me initially puzzled. I wasn't sure if it was a card or not, but one quick look into the SCBC and the mystery was solved. Let's see what Matthew sent over this time. Thanks, Matthew! This little bundle of happiness is just the thing to start the weekend off right. I'm still looking out for number 5 cards to send your way. Inserts are nothing new. In packs of 1968 Topps, there were cards depicting a baseball game. One could either purchase many packs trying to complete the set or send away for a set of 33 cards. These cards are notable in a few different ways. The cards are a throwback to the 1951 set. The backs have a similar feel to them and the fronts are reminiscent of the baseball game on those original cards. If sixties cards of stars are a little out of your budget, this is a perfect way to complete a vintage set. Stars like Mickey Mantle, Roberto Clemente, Carl Yastrzemski, Hank Aaron and Pete Rose are just some of the players that make up the set. If you are patient enough, you can find most of these cards for a song. That's one of the advantages to most vintage insert cards. They tend to be overlooked and packed with stars of the day. Gary Peters is one of the forgotten stars of the sixties. From his Rookie of the Year season in 1963, he dominated the American League. He led the AL in ERA in 1963 and 1966. 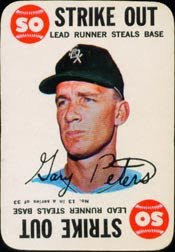 He reached the 20 game win mark in 1964. In 1963, he missed that mark by one game. So, with numbers like that, why isn't Gary Peters a household name? Mostly, it has to do with the "just missed the playoffs by a game or two" record of the White Sox in the sixties. Most years, the White Sox were right in the thick of things until the last week of the season. By the time Gary made it over to Boston, his career was winding down. Keep an eye out for Topps inserts of the sixties. They are an inexpensive way to pick up vintage star cards. Hurry, before everyone else realizes it. Everyone seems to be focusing on the inserts of Topps Unique, which are not unique in the least. That's what most of the collectors will be focusing on with this release. I choose to ignore the inserts in Topps Unique. I'm certainly not going to balk if any should come my way, but I won't be fighting off people for them either. Instead, I'm focusing my interest on the base set. Most people tend to forget about the base set in releases like this. Everybody is paying all their attention to the uniform pieces and the autographs and such, that the base set gets left behind. I've finally seen the checklist and a smattering of base cards. Let me tell you, the base set is pretty sharp looking. There seems to be some real care going into the throwaway cards of the set. These will most likely be tossed aside, like advertising inserts, while collectors frantically search for their pot of gold. That's a real shame. From looking over the checklist and scoping out some cards on eBay, there appears to be seven White Sox cards in the base set. The one thing that you'll notice is the lack of Jim Thome. Thome is still in the set, but I am proud to announce that he is in Dodger blue in this set. While it's a minus for White Sox fans, it's a huge plus for Dodger fans. Overall, I'm pleased with the design of 2009 Topps Unique's base set. I'm not a huge fan of the inserts that I've seen from the release, but the base set is sharp. I will be looking forward to completing this White Sox team set. In celebration of the 100th anniversary of this set, Topps has issued a set of their own. That set is very polarizing. A lot of people do not like it. A lot of people love it too. Perhaps the most iconic set in the history of trading cards, thanks to the Honus Wagner card (which inspired a great book called, The Card), the T206 tobacco series is what most people think of when they think of vintage cards. Collectors are still trying to piece together this set. There are so many back variations and pose variations, it's almost impossible to own a complete set. Good luck trying to track down a few of the rarer cards. Unless you are very lucky or have disposable income to burn, you likely aren't going to succeed. There are 523 cards in the set (that are currently known) and 16 different back variations. Not all cards will have the same brand variations, which makes the actual number of cards for a master set still a mystery. Card variations are still being discovered. The back variations include American Beauty (thinner cut cards), Broadleaf, Carolina Brights, Cycle, Drum, El Principe De Gales, Hindu (found in both brown ink and red ink), Lenox (found in both brown ink and black ink), Old Mill, Piedmont, Polar Bear, Sovereign, Sweet Caporal, Tolstoi, Ty Cobb and Uzit. The card combination and variation possibilities are mind numbing. 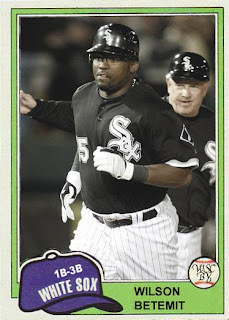 There are 27 cards featuring the White Sox. If you choose to chase any of the set, good luck. Here is a gallery of every card to help you identify cards along the way. The distinct white borders were the first thing that Jefferson Burdick noticed about the set. The mysteries of the set keep drawing people in. Happy 100th anniversary! What once promised to go out with a bang, trickled out with a whimper. I'm left with more questions than answers. A little part of me is sad to come to that conclusion. Truthfully, I had forgotten all about my bizarre encounter with Darren Clarke. Silence has a tendency to do that. I haven't heard any more developments in well over a year. No word from Topps. No word from Mr. Clarke, himself. For some odd reason, Darren Clarke's name popped into my head today. I wondered what became of him. I hadn't heard anything about him lately, but that shouldn't be a surprise. National League relievers have a sneaky way of hiding from me. It's not their fault. It's just the nature of the game. I went looking for answers, only to find nothing definitive. What I did find raised an eyebrow. After having a literal cup of coffee with the Rockies in 2007, he was back in the minors. I couldn't find any mention of him playing past 2008 with the Rockies AA team. Baseball Reference even lists his final game as May 20, 2007. After eight seasons in the Rockies organization only resulting in two games pitched with the parent club, maybe Darren made peace with the fact that he wouldn't return. Maybe he focused on something else entirely. Maybe it wasn't his decision. Whatever the reasons behind his leaving the Rockies, I wish him well. I hope that he appreciates that he pitched in two big league games. It's a lot more than most of us will ever accomplish. I am officially moving this saga to cold case. At least Darren Clarke can say that he has an unblemished ERA in the majors. Now that's something! For the second year in a row, Chris of Stale Gum fame, has sought me out for a trade. We'll go want list hunting and reach some sort of an agreement on card exchanging. For the second year in a row, I've been lucky enough to score a 1/1 authentic Chris Harris autograph. Very cool indeed! I'm glad I only trade with Chris once a year. I don't have the back stock of cool stuff to send his way. It takes me all year to compile a worthy enough package to send over. Some of you know this fact a little too well. Sorry about that. I'm still working on some packages to send out to a few of you. Without any further delay, let's see what Chris sent over! Thanks, Chris! These cards were awesome! I look forward to next year's trade! Hopefully, I'll be able to hit more from your want list by then. Sometimes the best trades don't seem like trades at all. That is how the latest trade with Jason of the Writer's Journey felt like. There was no haggling over what was sent. It just happened. I saw JT left a comment about the Reds cards from a set I had purchased on the cheap just to get the White Sox cards. So I gathered the few meager Reds cards that were in the set and shipped them off, with a few extras thrown in for good measure. I received a package shortly after from Jason. Inside were a few White Sox cards and 44 cards for my friend. I won't mention what cards, just in case my friend stumbled upon this post. Long time readers should know what I'm talking about though. Let's just say that the 44 cards hit right on the nose. Thanks, Jason! If I had any holes (too lazy to check right this second) in the 1988 Baseball's Best, I'm sure they are filled now. My friend will be excited when I finally get everything together. Thanks for helping!